So you want to order a nice print from me, but can't decide between the options that are available - or maybe you don't even know what the options are. Let me explain a bit about what I offer. 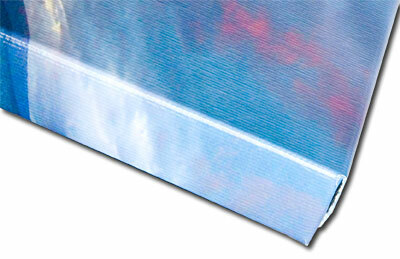 Stretch Canvas: This is the traditional style of Canvas. The print is stretched to the edge of a 3/4" thick wooden frame, and stapled around the edges, leaving the full image on the front. 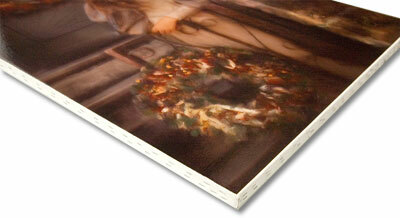 A special purpose / custom frame is generally used to mount and display a Stretch Canvas print. Gallery Wrap Canvas: This is my preferred option. It's less traditional / more modern. It is a fun way to show off your image. And while a tiny bit more expensive, it actually saves money! The print is wrapped around a stretcher frame so that 1 3/4" of the photo's edges are visible on the sides of the frame. The money savings comes from the fact that you do NOT need to purchase an external frame (custom frames are often necessary for large Lustre prints, and always necessary for standard Stretch Canvas prints). The prints are delivered display-ready with hanging hardware attached. Canvas Board: I recommend this option when the customer already has a standard frame that they would like to reuse. 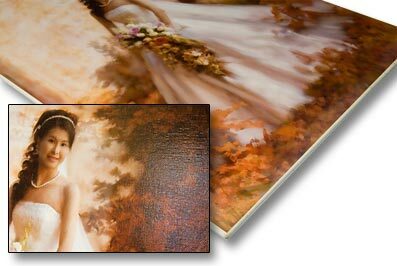 Canvas Board prints are mounted onto sturdy Gator Foamboard, a very rigid foamboard and lightweight backing with a white finish.Canvas Board is much skinnier than the Stretch Canvas option and so it can general fit into a standard frame. For table top prints (8x10 and smaller), I recommend the standard Lustre Prints. For a similar size, but bolder image, I recommend the Metallic Prints. For smaller wall sized prints (11x14 to 16x20), I would recommend a standard Lustre or any of the Canvas options. Note that as a general rule, I consider 11x14 to be the smallest wall sized print because anything smaller than that requires that the viewer walk up to the wall in order to view the print. If the print will be hanging over a sofa or the mantel of a fireplace, I recommend at least a 16x24" sized print. For the larger wall hanging prints (16x24, 20x30, 24x36) I would recommend either the Gallery Wrap Canvas or the Float Mount Metal Print. Another good option which saves a bit on money is the Thin Wrap Print. For the really large prints (24x36 and up), I recommend the Gallery Wrap Canvas.